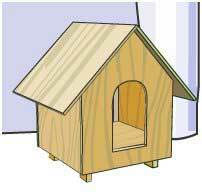 Building a dog house is a relatively easy woodworking project. Find a plan below that will fit your dog. You don't want the dog house to be too large or too small....just right will keep him from being cold in a too large dog house or cramped if the dog house is too small. Your new dog house design needs to protect your pet from both the wind, cold and rain. Be sure the dog house won't get wet on the inside. Here is a great layout of plans along with illustrations to help you build a house for your dog. This project allows you to determine the size of the dog house needed to fit your pet. Build a sturdy and weather proof shelter for your best friend. 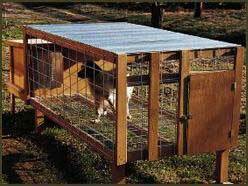 An above ground kennel keeps dogs away from most vermin and parasites, and off the damp, germ-laden ground. Find three different plans for above-ground kennels. Medium, small/medium and little dogs are covered in this interesting article and plans. 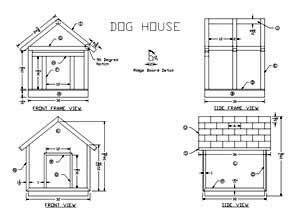 This is a blueprint for a standard dog house. 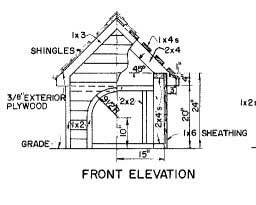 From flooring to roof, you will find step by step illustrations along with written plans to get you started. Building a dog house is a great family project and keeps your pet happy too. 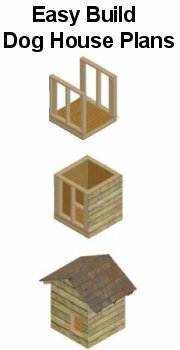 These are plans for a dog house build mainly out of cedar; cedar wood is excellent in withstanding insects and decay. The floor is built above ground to prevent moisture and insects from coming inside. 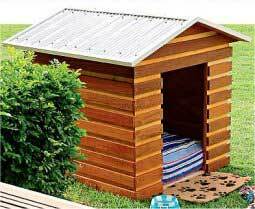 Starting with materials needed, this plan has great detail and makes it a cinch to build your pet his own dog house. An outdoor dog kennel is a great way to give your dog a space that is all theirs while keeping them happy and healthy. 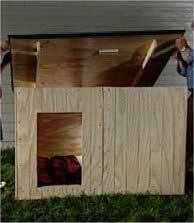 Here you will find a pattern sheet for a dog kennel that is easy to build and also takes little of your time to complete. Improve your dogs life by giving him/her a warm and dry place of their own.